We are a locally owned pharmacy that offers a variety of innovative services to help provide the highest level of healthcare possible. At G&M Pharmacy, we put our patients' needs first and strive to offer friendly and helpful customer service. Come give us a try and see how we can make managing your medications easy and convenient! Our mission is to help our patients live longer and healthier lives. We know our patients by name and strive to provide a pleasant pharmacy experience. We offer competitive prices and accept most insurance plans. We also try to fill prescriptions in a timely manner and avoid forcing patients to wait any longer than needed for their prescriptions. Our promise is to provide the best pharmacy visit that we can. We are always happy to resolve any issues that may arise in order to satisfy every customer that enters our store. CBD is short for cannabidiol, which is found in the cannabis plant. Our bodies are wired with a master control system called the Enodcannabinoid System, which is made up of cell receptors that act as messengers giving our body specific directions on what to do. CBD works with these receptors to help regulate chemicals in our bodies which can benefit many different functions, such as anxiety, pain, sleep, and many more. Who can benefit from taking CBD? Everyone can benefit from CBD! CBD is an all-natural product that helps maintain overall health and helps regulate many conditions such as depression, anxiety, pain, insomnia, and more. Yes! Our CBD Oils are derived from industrial hemp and are federally legal in all states. Our products are a pharmaceutical-grade CBD that is regulated by the FDA which ensures product consistency, purity and potency. This may not be true with other brands that can be ordered online, from your convenience store, etc. Yes! Our Pet CBD Line is made exclusively for your cat or dog. Benefits include hip & joint mobility, relaxation & comfort, reduction in separation anxiety & noise phobia, and more! Bacon-flavored, easily digestible, and safe for all size pets. Meet our Owner/Pharmacist, Bob Lomenick! 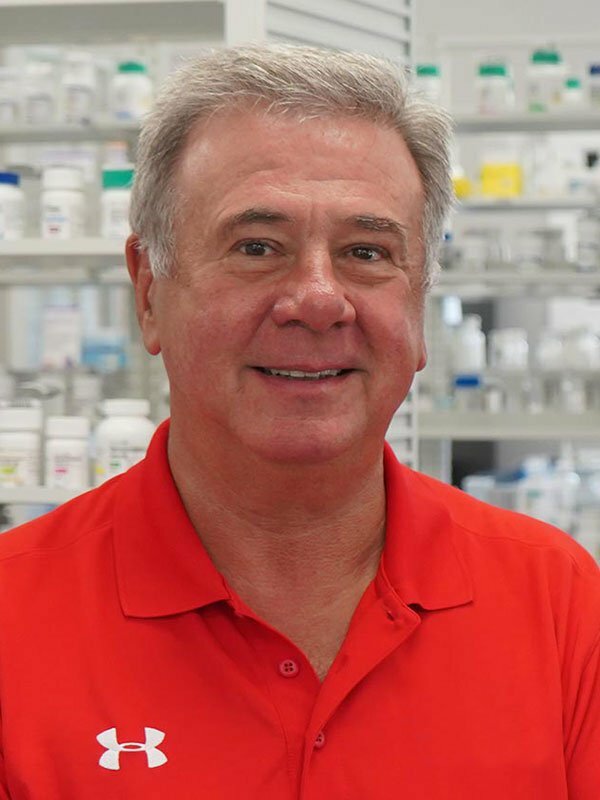 Bob graduated from the University of Mississippi School of Pharmacy in 1977 and continues to remain active in the School of Pharmacy as he currently sits on Dean Allen’s Board of Visitors Committee where he manages one of two community residency programs affiliated with the school. 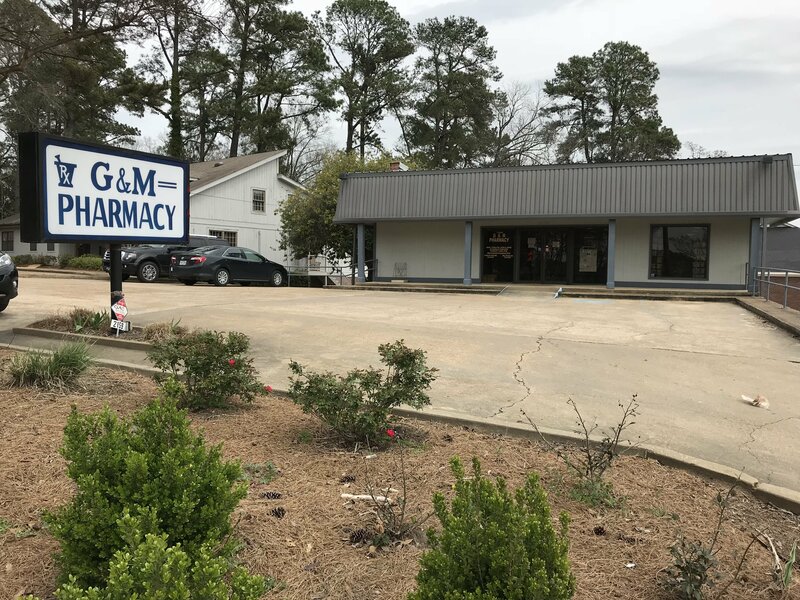 Due to Bob’s commitment to patient care, he has been active throughout the state and nation in the practice of pharmacy where he is a founding member of The Mississippi Independent Pharmacies Association on which he served as Chairman of the Board for three years. Currently, he remains an active member of The Mississippi Pharmacist Association and The National Community Pharmacist Association where he is recognized by his peers for his contributions to the profession and is a highly sought-after speaker on the implementation of synchronization services and its impact on medication adherence. Click here to read Bob's full bio! Refill you medications with us through our automated phone system, website, or app! We offer free delivery for our patients in the Oxford city limits. Choose delivery when calling in refills or let us know where to deliver over the phone. Managing your medications is easy with our Med Sync service. We have a trained technician that will call you before your meds run out, and have your refills ready when you arrive at our store! Our highly trained staff of certified pharmacy technicians and licensed pharmacists can answer any questions you may have regarding your medications.